Olay Regenerist Micro-Sculpting UV Cream provides skin with UV protection and intense hydration. The formula features an amino-peptide complex that helps to renew the skin's surface while providing a broad-spectrum SPF30 UV sunscreen. The cream spreads easily and is non-greasy. It helps reduce the appearance of fine lines and wrinkles while exfoliating, smoothing and hydrating to help firm the skin. To apply, smooth evenly over clean skin on the face and neck prior to sun exposure and as often as necessary. I tend to use a lot of Olay skincare and generally find they are good at delivering decent, noticeable results. This moisturising cream has a lot of positives; it comes in a pump bottle which helps keep the cream stable and hygienic, it contains good SPF protection and contains some anti-ageing and hydrating ingredients. I do have slightly sensitive skin and any skincare or makeup with a heavy fragrance can make my skin itchy and red. I found this cream does have a strong, lingering scent so I can only use it sparingly. I do however like the texture and feel of this cream, as it's not too heavy or runny, and it just seems to be the right texture for me. It absorbs well, leaves no oily residue and isn't sticky either. This cream leaves my skin feeling soft, smooth and well hydrated. I don't have many major wrinkles or age spots etc, so I'm not sure how effective it is in minimising any of these signs of ageing. I would have given this cream 5/5 if there was a fragrance-free version. It's still a bit pricey and doesn't fully suit my skin because of the fragrance, therefore I doubt I will repurchase it. I love this for my dry, fair skin. It's a high quality, thick formula delivered in an airtight pump. One pump does my neck and face comfortably. A white caste fades reasonably quickly on me as the product, though thick, absorbs quickly. Only reason why I give 4 not 5 stars is that I can't use this over my eye area as it makes them feel watery and irritated. (The Avene SPF 50+ excels in this regard). An excellent quality spf+skincare for the price and is often found on sale. Don't use over your eyes if sensitive. 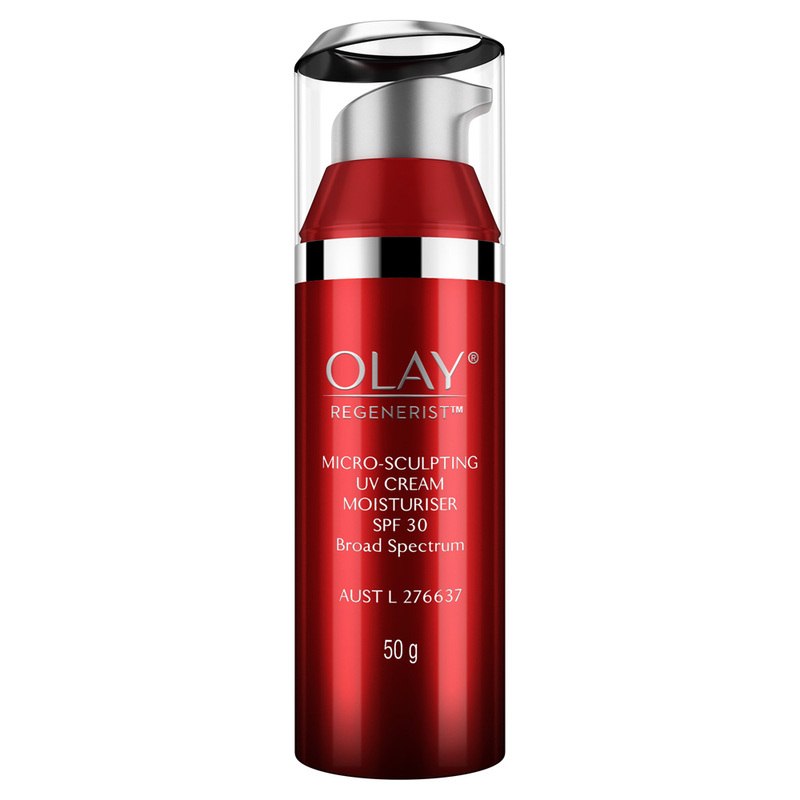 Olay Regenerist Micro-Sculpting UV Cream is the perfect 2-in-1. It works wonderfully as a day time moisturiser while providing a good amount of SPF protection. I'm not a morning person at all so I find simplifying my routine is the key to getting out the door, if not for this product I would probably go without either moisturiser or SPF... or both (the horror!). The pump action packaging is hygienic and makes the product very easy to use, it also dispenses a good amount of product that is easy to control. I usually find it takes 2-3 pumps for my entire face and décolletage. It glides on nice and smooth, at first feeling dense like a sunscreen and then smoothing out into more of a heavy moisturiser texture. It doesn't leave any white cast to my skin and I find after a few minutes of drying it drys light weight with a matt finish and without any greasiness at all. People looking to simplify their routine. By far the best thing about this product is that it’s an effective moisturiser and sun screen in one. Usually these products are either super greasy or weirdly drying, so it’s fantastic to find a product that provides moisturisation and SPF protection while delivering anti-ageing antioxidants to the skin. The packaging is pretty luxe and keeps out both sunlight and oxygen, which prevent the formula from oxidising. I also enjoy the light fragrance you get with every pump. This product goes on sale semi regularly. While it’s worth the price, who’s gonna say no to a bargain? Your face. Every. Single. Day. This is a great product worn either by itself or under makeup as a primer. It is a moisturiser that gives an excellent amount of hydration and sun protection. Using this Olay moisturiser minimises the appearance of pores, fine lines and wrinkles. This product may not be suitable for oily to combination skin because I believe this may be too heavy. However, I have normal to dry skin and it suits my skin perfectly. Also, it feels like silk going on to the skin and has a light fragrance. If you are sensitive mainly towards scent, this may not be the right product for you as it is not fragrance-free, as it could lead to extreme irritation. Normal and normal to dry skin because as I explained it may be a little too heavy for those who have oily and oily to combination skin. Normal and Normal to dry skin as I explained, it may be a little bit too heavy for oily and oily to combination skin. This olay product is one of my musts haves because you can wear it under makeup (as a primer), or by itself. It looks awesome both ways. This moisturiser is really hydrating and minimises the looks of pores, fine lines and wrinkles. As I mentioned, I would highly recommend this product, however, if you are sensitive to scents. This may be not for you. Even though it has a light fragrance, it may be irritating. This product worked really well for me. This moisturiser may be too heavy for oily skin. This white cream leaves my skin feeling instantly silky, smooth and hydrated. It has a fresh-almost-lemony scent to it which lingers way after it's been put on the skin and it's easy to spread onto the face but not as light as the Olay Complete SPF30. This one is a little more nurturing than that as it is geared for ageing skin types. I love that it nurtures my skin with hydration and my normal, ageing and dry areas love that but my oily-T zone starts to shine a bit in the afternoon so I think it's a little too heavy for that area (I have combination oily skin). The quality pump-top 50ml bottle is convenient and hygenic to use. It has a transparent, silver-lined lid for extra closure. I'm nuts about the SPF30 in this cream - which is what lured me to buy it in the first place - I wanted to try an anti-aging version of their Olay Complete which I have previously used for years. Those wanting a nurturing SPF30 anti-aging cream. I find this a little too heavy for my oily T Zone but perfect for my dry, normal and ageing areas of my face - which is what I think it's specifically aimed for. Hi Maogirl, thank you for your comment. We are sorry to hear that you had an unfortunate experience with the Olay Regenerist Micro-Sculpting UV Cream. If you haven't already please stop using the product. We do hope you are feeling better; If you feel you need to, please consult a Doctor. We do our best to ensure that our Olay products are both safe and efficacious, we would like to better understand what went wrong; please keep hold of the product and contact the Olay Consumer care line at 1800 028 820 (open M-F, 9-6 <AEDST>); we have notified them of your case and they will be expecting your call. Thanks and take care, the OLAY team. Only use if you can stand products with fragrance in them. makeup, as in my 40's helps wrinkles not crease too much. I have brown patches so love the fact is also spf30. Only thing for the price is doesn't last very long, maybe a bigger bottle would be great especially as is "Spf30. Olay, can we PLEASE have a fragrance free version??? This anti-aging moisturiser by Olay really is superb - it moisturises well, is non-greasy, comes in an airless pump and is loaded with amazing anti-aging ingredients. There's just one problem....the fragrance, in my opinion, is the absolute pits. To my nose it smells like a combination of toilet deodoriser and cigarette smoke and gives me a headache whenever I use it. The worst part is that the smell lingers for a long time after application.  Thank you for reviewing Olay Regenerist Micro-Sculpting UV Cream SPF30. We are so pleased to hear you enjoy this product and appreciate your feedback on the fragrance. Whilst there is a fragrance-free micro sculpting available (please note it does not contain SPF), we will pass your comments on to the Olay research & development team. As much as we don't want to admit it, the only tried and true way to stop the ageing process apart from keeping our skin moist is to prevent sun damage. It's taken me a while but I have finally decided to accept my pale skin for what it is and protect it as much as possible. After all what's worse, pasty skin or leathery skin? So now I have a rule: Only SPF 30+ moisturisers allowed in my beauty routine. Many of them are too harsh for my sensitive skin, and leave a greasy film that makes me want to scrub my face within an inch of its life. Not this one. It sinks into my skin and moisturises it beautifully. It is a little expensive, but given the way it performs, I am happy to spend my money on something that is going to do its job. Comes in a nice pump bottle so it's hygienic, and the formula is nice and thick so you can really control the amount that comes out. The smell is a little strong and "sunscreen-y" but fades soon after you put it on, so it doesn't bother me. I love Olay's Regenerist packaging, it looks a little more classy than their Complete range and looks like it belongs on a Department Store counter as opposed to a pharmacy shelf. I can't really comment on it's anti ageing properties, as I don't have a lot of wrinkles yet at 27, all I can say is refer to the first sentence of this review. Prevention is your best bet! Three simple tricks to prevent sagging skin on your neck. Watch the video and read tips from beautyheaven members.